string(1190) "Resource Centre > Uncategorized > Handbook on Initial Victim Identification and Assistance for Trafficked Persons"
The Task Force, which was established in 2016, is a multidisciplinary and collaborative consortium of 27 organizations with the mission to collectively advance anti-trafficking efforts in the Hong Kong SAR. 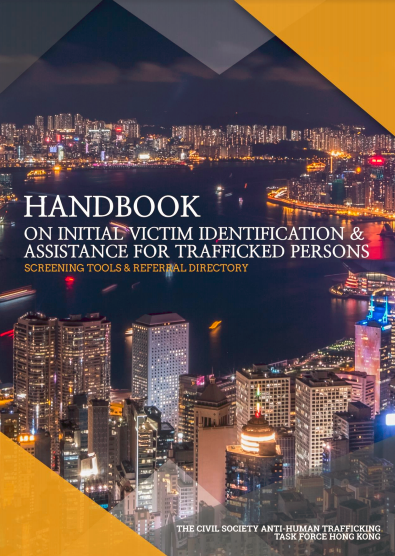 The Handbook’s release follows the endorsement of the Hong Kong SAR Authority’s 2018 Action Plan to tackle trafficking in persons and enhance protection of foreign domestic helpers earlier this year. 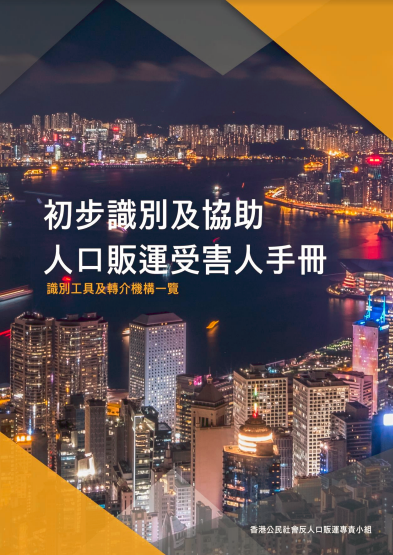 The first edition of the publication, available in English and Chinese, represents a major step in Hong Kong civil society’s anti-trafficking efforts, identifying concrete guidelines and resources for front-line social services, anti-trafficking, labour and other organizations. The handbook will guide a variety of service providers, including government agencies, NGOs, public health professionals, social workers, lawyers and others who may encounter trafficking victims in the course of their work. Prior to the launch, Task Force members agreed to conduct an initial pilot of the Handbook’s Preliminary and Self-Assessment Forms between August 2017 and June 2018. Among the 424 migrant domestic workers from Indonesia and the Philippines, who were asked to complete the Self-Assessment form, 85.5 percent of Indonesian and 48.8 percent of Filipinos indicated that they feared negative consequences for themselves or their family if they terminated their employment. In addition, of the 1,037 potential victims of trafficking who were underwent preliminary screening, 63 were identified as victims of trafficking. This data points to the need for the Handbook’s wide usage and further cooperation among government agencies and NGOs. “In Hong Kong, the discussion on human trafficking has been long. I am therefore glad to see that civil society has come together, to jointly address this issue through the development of this Handbook. It is crucial to focus attention on the issue and how we can improve collaboration to enhance protection and facilitate assistance for victims of trafficking or those vulnerable and at risk of this crime,” said Secretary General of the HKCTU Lee Cheuk Yan.